Sister Jenna welcomes Stephen Dinan to the America Meditating Radio Show. Stephen Dinan, is a noted social entrepreneur and visionary political strategist, and the founder and CEO of The Shift Network, a leading global provider of online transformational courses and trainings. He was previously a senior staffer for both the Institute of Noetic Sciences and Esalen Institute. 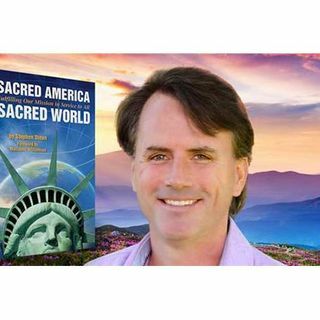 Stephen is the author of Radical Spirit: Spiritual Writings from the Voices of Tomorrow and his new book, Sacred America, ... See More Sacred World: Fulfilling our Mission in Service to All. Stephen is also a member of the prestigious Transformational Leadership Council and Evolutionary Leaders groups. Visit www.SacredAmerica.net/Special and www.StephenDinan.com.